Anyone know paint type and any tips for painting over oak veneer panels. Would like it to still show the grain through the paint. We used a kitchen and bathroom white emulsion for this job. I think it was Dulux brand. You may have to go to a 'proper' paint merchant rather than a DIY 'shed' to find it. Any paint will still show the grain texture if it’s not applied too thickly. First thing to do is carry out a deckhead survey. Wash with sugar soap to remove grease. Farrow & Ball make expensive paints. I’ve yet to see the justification for their prices over say Dulux or Crown. I can't disagree, of course Jewson Paint is delivered from the Crown factory, so another cost saving exercise. Don't be fooled, it wont be to the same specification as their own branded paint, even some paint bearing the Dulux name bought in DIY barns is not a s good as the Professional paints they make. Thanks David. I agree about painting over the veneer, however it has some water damage from a leak. It’s only one panel in the bedroom. Going to try the paint route and if it doesn’t suit will then change the whole panel. ... to a completely different formulation. Agreed 100%. I always buy from a Decorator Centre. It’s no cheaper than a shed but the quality is guaranteed. We painted ours last year. Oh dear, I’d completely forgotten that thread. June last summer, maybe it was a warm day and I’d been drinking... Thanks for the reminder, it tells me all I need to know. To further confuse, the ceiling on the Poseidon was the deck. In ship construction, ceiling (or sometimes called tank ceiling) was fitted to the deck in a lower hold, especially under the hatch square, to give protection to the tank top. Along the sides was Spar Ceiling which was wooden battens protecting the shell plating and frames. 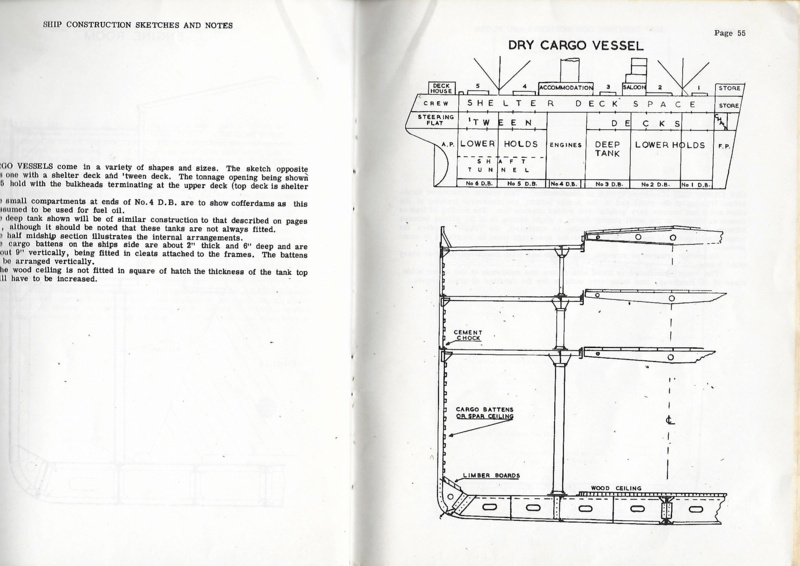 The following diagram from an old ship construction book of notes shows them both. simply take your Farrow & Ball paint sample from the brochure to the Decorator Centre, and get them to colour match it, waaaaaaaay cheaper.